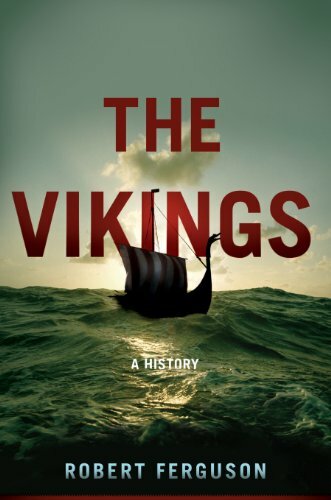 <b>A comprehensive and thrilling history of the Vikings for fans of the History Channel series</b><br /> <br /> From Harald Bluetooth to Cnut the Great, the feared seamen and plunderers of the Viking Age ruled Norway, Sweden, and Denmark but roamed as far as Byzantium, Greenland, and America. Raiders and traders, settlers and craftsmen, the medieval Scandinavians who have become familiar to history as Vikings never lose their capacity to fascinate, from their ingeniously designed longboats to their stormy pantheon of Viking gods and goddesses, ruled by Odin in Valhalla. Robert Ferguson is a sure guide across what he calls &quot;the treacherous marches which divide legend from fact in Viking Age history.&quot; His long familiarity with the literary culture of Scandinavia with its skaldic poetry is combined with the latest archaeological discoveries to reveal a sweeping picture of the Norsemen, one of history's most amazing civilizations.<br /> <br /> Impeccably researched and filled with compelling accounts and analyses of legendary Viking warriors and Norse mythology, <i>The Vikings</i> is an indispensable guide to medieval Scandinavia and is a wonderful companion to the History Channel series.